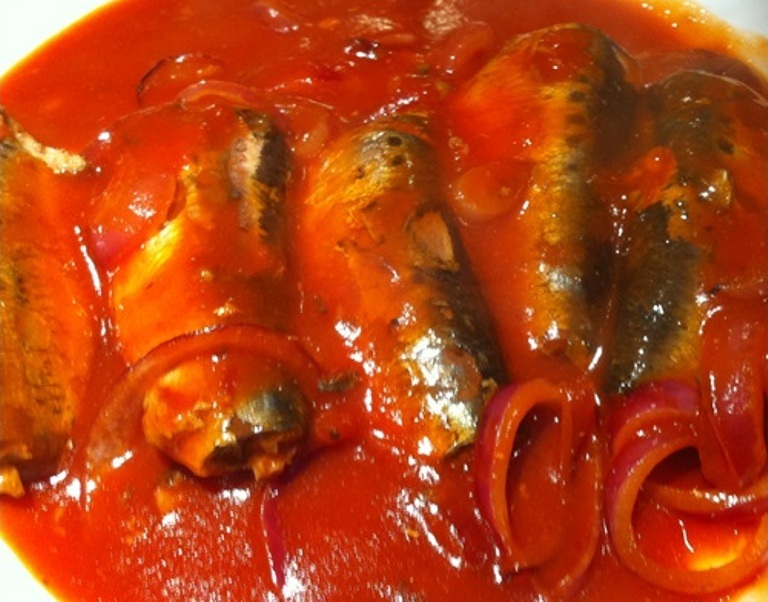 Sardine in tomato sauce is available in the form of canned sardine fish product. This is a product that widely available at grocery store or supermarket. Sardine with tomato sauce has additional flavor already and sometimes the manufacturers also like to add chili herbs to make hot tomato sauce. 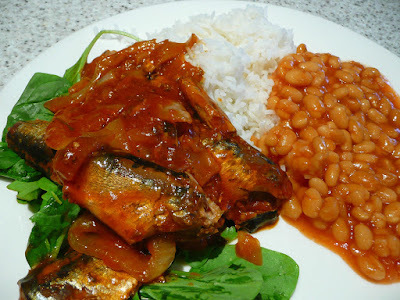 For those who prefer to eat sardines can straight out of the package then you can buy and enjoy consume sardine soaked in tomato sauce without need to cook and add other ingredients. They are good to be enjoyed anytime and anywhere thanks to the portable cans. However, if you do not like tomato sauce from the manufacturers due to the unhealthy ingredients they may add then you can always make your own tomato sauce with this simple recipe. Follow these guides bellow to find the instructions! Why you should make and experience the tasty sardine in tomato recipe? Because they are good to be served with many ingredients and complement such as sardine with warm white rice or you can also put the sardine in toast. You can make sardine tomato soup, salad, stew, and many more. 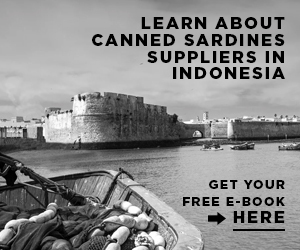 Sardine is good choice for quick meal or breakfast since you can simply open the sardines and because sardine is already cooked from the factory, you do not need to cook the fish anymore. You can add extra homemade sauces or ingredients and herbs to strengthen the flavor. 2. Sauté the onion until clear and smell nice. After that add garlic then cook for a minute. 3. Add fennel seed and tomatoes then cook for about ten minutes until they become sauces while most of the liquid become simmering and evaporated. 4. Add the frozen greens and pour everything inside the canned sardine. If you use sardine in tomato sauce product then pour the sauces as well. Cook for few minutes until they are warm enough. 5. Add extra flavor with pepper and salt according to your like. 6. After you are done, remove the small pan from the heat and then you can serve the dish with warm white rice, pasta, or polenta. If you want simpler dish then you can serve the sardine with bread too. You can follow these guides completely or you can experiment with your own recipe. For example, you can add other vegetables such as spinach and green beans. Sardine is nice choice for easy but still tasty dishes. They are full of nutrient and have nice oily texture which makes the dishes even better. If you do not want to use all the sardine fish inside the cans then you can keep then in refrigerator for 2 days after you opened the cans. To store canned sardine in tomato sauce factory product, you should avoid place the fish still in the cans inside refrigerator, but transfer them into airtight container and kept them in the coldest part of the refrigerator. 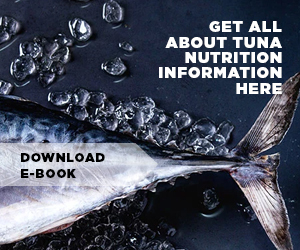 Once the can is opened, you need to use it within 2 days and if you find out that the sardine smell weird or off putting then it is better to throw away them because it is mean that the fish is already spoiled. Sardine in tomato sauce product can be found easily, even if you travel to other countries such as Asian countries. 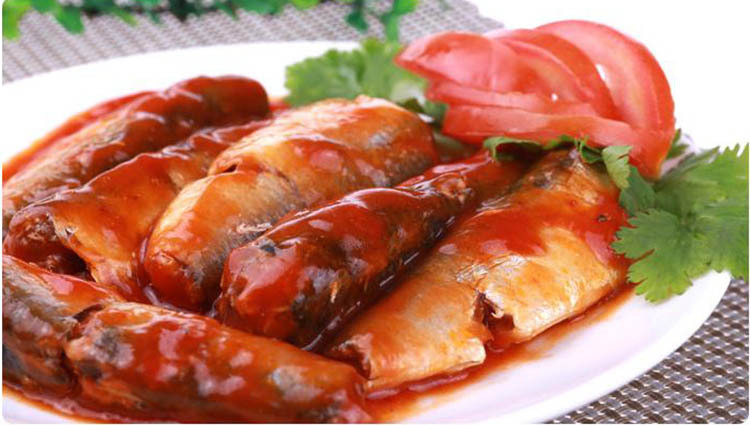 In fact sardine with tomato sauce is one of the most popular ingredients to make Asian dishes such as sardine with noodles. They are good and you should try it at least just once!